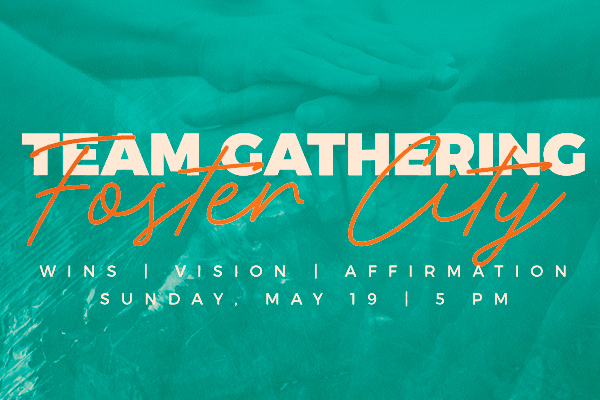 If you serve in any capacity at the Foster City Campus save Sunday, May 19 from 5-7 pm on your calendar! You are invited to an evening full of affirmation, vision, food, and connection as we hear about what God is doing on the Peninsula through YOU! Mark Mitchell will also share more about our new vision and how you can go help accomplish it. You will have the opportunity to connect with other team members and elders at the Foster City Campus! CPCKids will be provided for children 0-PreK. RSVP today!